Hot off the press: the Asia-Pacific region’s 2018 CPO of the Year and Future Leader in Procurement (FLiP) of the Year have been announced at The Faculty’s Gala Dinner. Dramatically shifting the impact of procurement in a truly international role, MMG General Manager of Supply Chain Ron Brown has been recognised for delivering major procurement and supply chain transformation, driving value creation across the organisation and consistently delivering tens of millions in savings per annum over the past four years. Brown’s achievements were celebrated at last night’s CPO Forum Gala awards, hosted by leading procurement advisors The Faculty. Global resources company MMG Limited operates and develops copper, zinc and other base metals projects across Australia, the Democratic Republic of Congo, Laos and Peru. As such, Brown and his centre-led procurement team have become adept at not only working across time-zones but also in negotiating the significant language and cultural differences in the four regions. Brown himself has a full travel schedule, as he regularly visits sites across four continents in person. Improving the skill-sets on contract management, creating commercial value over the life of the contracts and putting in place systems to ensure opportunities are not left on the table. A greater emphasis on supplier relationships, including better engagement, more regular communication around performance to enable greater value creation. Key achievements that contributed to Brown’s nomination for the CPO of the Year award include the delivery of a major procurement project to support the construction of the recently completed Dugald River Mine site in Queensland (Australia). Brown and his team embedded the contract management approach to build savings, sourced long-lead items and engaged local suppliers in a logistically challenging, complex industrial environment. Brown and his team contributed to the delivery of the project significantly under budget and ahead of schedule. They also achieved multi-million-dollar savings through an electricity contract revision for Las Bambas (Peru), and enhanced global sourcing primarily through China, resulting in significant savings across a wide range of supplier inputs. Brown and his team have also re-engineered and simplified procurement policy, process and reporting frameworks at MMG, creating a high-level dashboard to drive visibility. Site inventory has been improved through more efficient contract management, buying at better prices and strengthening supplier relationships. “Ron has significantly lifted capability across his team, hired and developed the right people in procurement and supply,” says Travers. “He mobilises his team and creates career pathways for them.” Brown has also actively promoted gender diversity across his team. But the CPO of the Year wasn’t the only award presented at the #CPOForum18 Gala Dinner. One of procurement’s rising stars, Maryam Rahimi of Sydney Trains, was also celebrated with the presentation of the Future Leader of the Year (FLiP) Award. It’s a big week for Sydney Trains’ Maryam Rahimi. Not only is the Australian public sector procurement professional stepping up to a new role where she’ll be leading a team of 27 people, Rahimi was also awarded the prestigious Future Leader in Procurement (FLiP) of the Year Award for 2018 at last night’s gala event in Melbourne. Originally from Iran with an engineering and manufacturing background, Rahimi immigrated to Australia in 2010 where she entered the rail sector, first with Downer Rail and then with Sydney Trains. This week, Rahimi is moving from her role as Acting Senior Business Category Manager to Manager, Plant Hire. This leadership position with responsibilities and a team across both Sydney Trains and NSW TrainLink has greatly expanded responsibilities from her previous role – and she’s 100% up for the challenge. But it’s in stakeholder engagement where Rahimi has her most impressive wins. Upon settling in at Sydney Trains, she quickly identified an issue where stakeholders were not highly engaged with procurement. Through outstanding business partnering with a focus on the customer, Rahimi lifted stakeholder engagement and improved the perception of procurement through the establishment of trust, credibility, early engagement and taking the time to understand customers’ needs. Rahimi’s commercial leadership was another key factor in her being nominated for the Award. Along with strong negotiating skills, she has a strategic focus, thinks holistically over the total life of the contract, and involves the end user in designing solutions to get results. Rahimi reportedly has a great touch in leading people and is known for her focus on working collaboratively and fostering a positive culture. She has lifted the capability of her direct reports through mentoring, coaching and inspiring others. 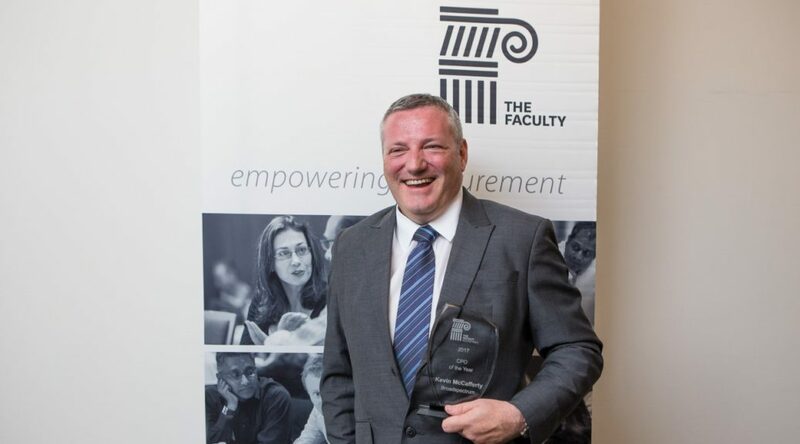 The CPO of the Year Award is a flagship initiative of The Faculty, created in 2012 to recognise and celebrate the achievements of procurement professionals across Asia Pacific. For the past 6 years the Award has celebrated someone who has been assessed as an outstanding leader, a prominent contributor to their business and the broader profession, leading delivery of high ROI, and exceeding performance expectations. The Award is a measure of executive presence, commercial insight, people leadership abilities, innovation, professional advocacy, technical ability and integrity. The Future Leader in Procurement (FLiP) Award recognises an outstanding commercially focused member of the next generation of procurement professionals who is making a demonstrable difference to business results, across different industry sectors, budgets, team size and experience. The FLiP Award will be presented to a multi-talented professional who has demonstrated leadership capabilities and is an influencer and trailblazer in their organisation. The Award is a measure of leadership potential and presence, commercial insight, stakeholder engagement, innovation, professional advocacy, technical ability and integrity. The 2018 Judging Panel was comprised of Michael Andrew, Chair of the Board of Taxation and former Global CEO of KPMG, Helen Sawczak, National CEO of the Australia China Business Council, and Andrew Porter, CFO of Australian Foundation Investment Company and President of the Group of 100. The meeting was chaired by Tony Megally, General Manager, The Source. 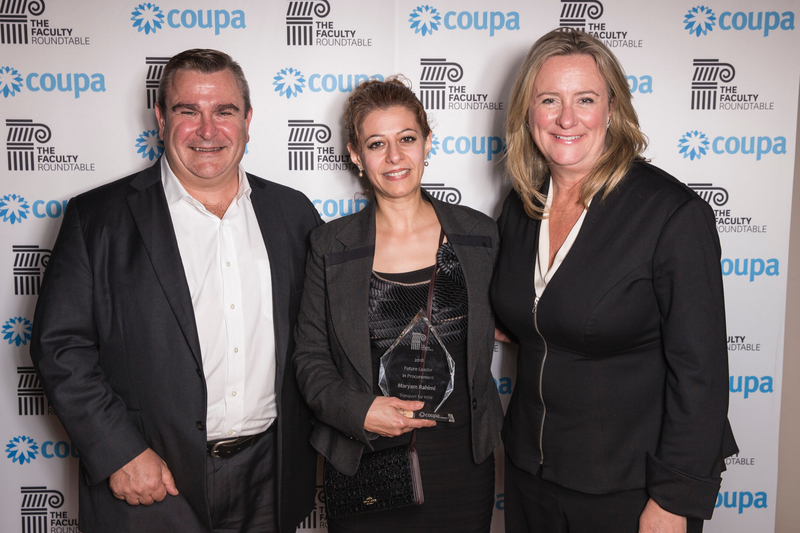 The CPO of the Year and Future Leader of the Year awards were sponsored by Coupa Software. The Faculty is recognised as one of Asia-Pacific’s leading procurement advisors. The team works with organisations to transform and elevate the role of procurement, build high performance commercial teams and facilitate professional knowledge networks. 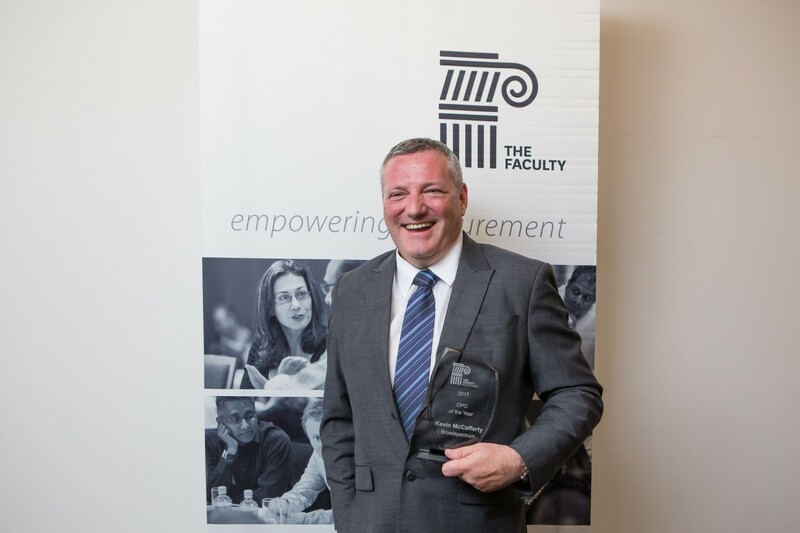 Flipping the old perception of Procurement as a back-room entity on its head, Broadspectrum CPO Kevin McCafferty has been recognised for introducing a value-based approach to procurement and dramatically transforming the function into a customer-oriented, bottom-line focused team. McCafferty’s achievements in consistently achieving both financial and operational objectives were celebrated at last night’s CPO Forum Gala awards, hosted by leading procurement consultancy The Faculty. Overseeing a procurement spend of $1.8 billion, Executive General Manager, Procurement Australia and New Zealand, Kevin McCafferty won the 2017 CPO of the Year award, after significantly increasing spend under management and delivering over $50 million EDITDA benefits, against an initial target of $30 million. 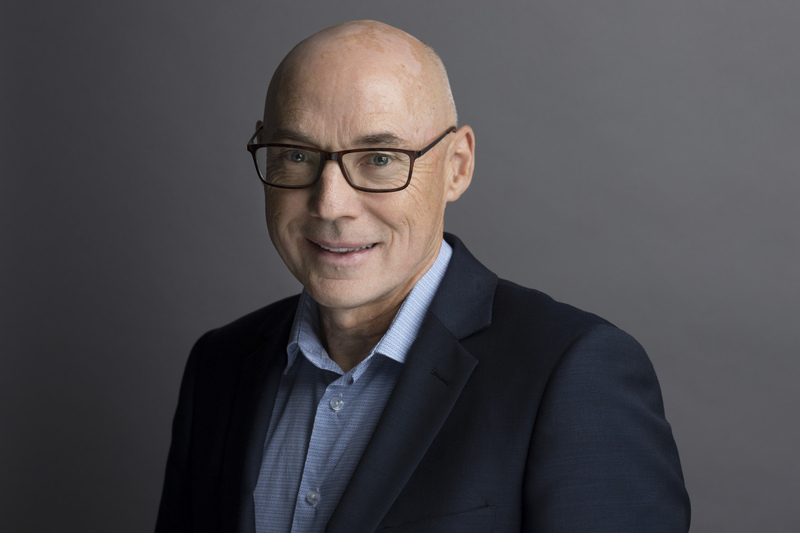 Broadspectrum CFO Vince Nicoletti, said: “Since joining two years ago, Kevin has made a significant difference to the procurement function within Broadspectrum. His strong transformational change leadership has seen the area move to a more strategic function within the business, which is now delivering bottom-line results and benefits. “Most importantly, he has up-skilled and lifted capability across his team and enforced process discipline by implementing appropriate technology and system solutions. 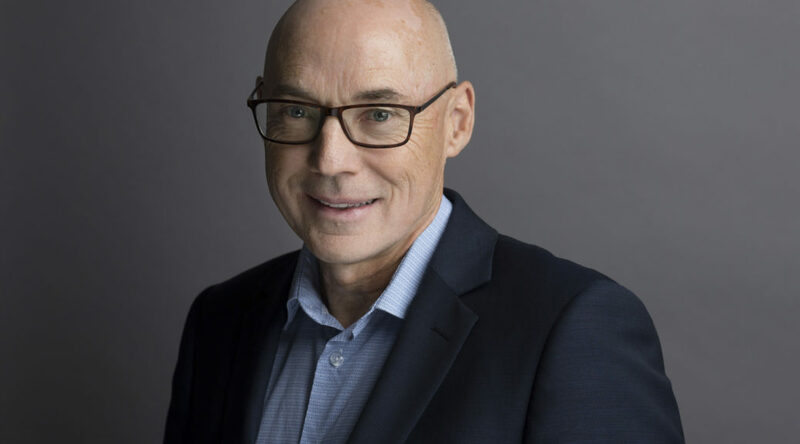 Procurious managed to steal 60 seconds with CPO of the Year Winner, Kevin McCafferty, who discussed the number one skill for CPOs of the future. CPO of Year Winner, Kevin McCafferty : “The key to our success is being recognised at the highest levels of the organisation as a team that creates shareholder value. The CPO of the Year award highlights the importance of the CPO role in organisations by recognising a remarkable commercial leader who is making a demonstrable difference to business results, having regard to the circumstances of different industries, budgets and the diversity of procurement team size and experience. For the past 5 years the Award has celebrated someone who has been assessed as an outstanding leader, a prominent contributor to their business and the broader profession, leading delivery of high ROI, and exceeding performance expectations. The Award is a measure of executive presence, commercial insight, people leadership abilities, innovation, professional advocacy, technical ability and integrity. The 2017 Judging Panel comprised Ms Sharyn Scriven, Group Manager, Metering Dynamics; Michelle Loader, Chief Executive Officer, Chandler Macleod Group and Matt Perfect, Founder Impact Spender. The meeting was chaired by Tony Megally, General Manager, The Source. For more information on CPO of the Year click here. The Faculty is Asia Pacific’s leading procurement advocates, highlighting the integral role procurement has to play in protecting margins, brand and growth for over thirteen years. Through consulting, professional development and creating knowledge networks for CPOs to share best practice learnings, The Faculty helps business to accelerate and optimise their procurement investment. For more information on The Faculty click here.